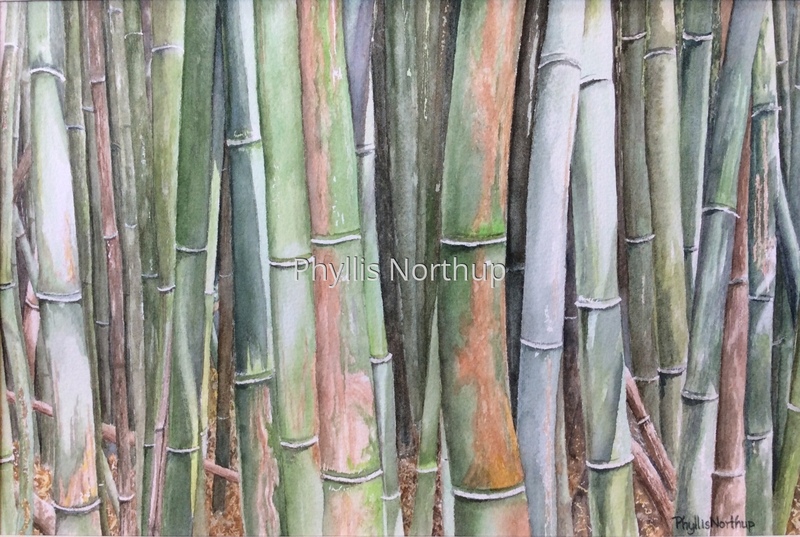 We hiked through this bamboo forest on the Pipiwai Trail in Haleakala National Park on Maui. I wish I could attach a recording of the sound of the bamboo trees knocking together in the breeze, it was pure magic! I tried to capture all of the varied greens with the sunlight filtering through, and just have to ask you imagine the sound! Framed to 14 x 18.